Peter J. Pereverzoff of Rosthern, SK passed away on August 22, 2017 at the age of 86. Peter was born on September 27, 1930 in Kylemore, SK to John and Mabel Pereverzoff. One of the first in his family to go to university, he earned a degree in Pharmacy from the University of Saskatchewan in 1954. In 1953, he married Mildred Gabrielson and created a home and raised their family in Rosthern, SK. Peter established his pharmacy in Rosthern and enjoyed serving the community through his practice. One of his proudest moments was being awarded the Bowl of Hygeia, an award that recognizes pharmacists who have shown outstanding civic leadership in their communities. He also served his profession as President of the Saskatchewan Pharmaceutical Association for a term and was honoured to receive lifetime membership in the association in 2016. A dedicated charter member of the Rosthern Lions Club, he received the Melvin P. Jones award in 2016 for a lifetime of service in Lionism, having served as District Governor in 1969. A life-long golfer and traveller, Peter enjoyed competing in many Lobstick and Pro-Am tournaments. He was a faithful member of the Doukhobor Prayer Home and active in the choir. Peter was blessed to have spent the last years of his life with his partner, Edna Wright, who graciously welcomed him into her family. Peter was preceded in death by his wife, Mildred in 2008. He is survived by his children David (Georgina), Kathy, Laura (Denver), Paul (Rebecca) and Peter; grandchildren Jane (Buu), Tom (Ally), Matthew, Paul, Mary, Josephine and Sarah; and great grandchildren Gabriel, Haley, Milana and Sagan, and many dear relatives and friends. The family would like to extend their heartfelt gratitude to the staff at Rosthern Hospital, The Diamond House in Warman, Dr. Waleed Sabry and the staff at the 6100 Oncology Unit of Royal University Hospital and the Palliative Care Unit at St. Paul’s Hospital for their care, kindness and compassion. A Memorial Service will be held Saturday, August 26, 2017 at 11:00 A.M. at Rosthern Mennonite Church, 3016-5th Street, Rosthern. Lunch to follow the memorial service. Interment of his ashes will take place in Rosthern Cemetery. Memorial donations may be made to a charity of your choice. 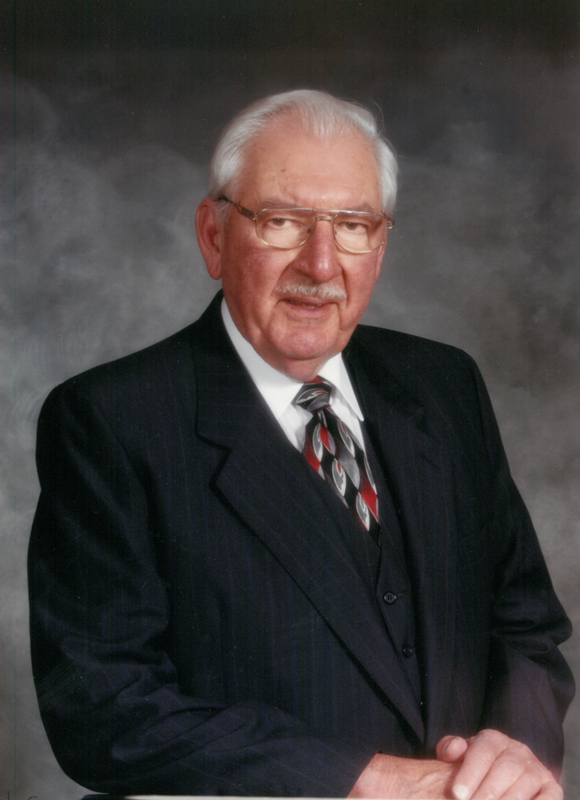 Arrangements are in care of Funk’s Funeral Home, Rosthern, SK (306) 232-5245, http://www.funksfuneralhome.ca. To: David, Kathy, Laura, Paul and Peter. Our deepest sympathy to all of you in the passing of a fine man. Harold and I are friends of Mildred (Girlie) and Peter since the early 50’s. We have fond memories of times spent together at the Nurses’ residence and at Waskesiu. So saddened to hear of your dad’s passing. We know him primarily through Waskesiu and the golf course, a place he loved so much. He was a very proud man and he’d reason to be proud of his many achievements and a great family. We are so sorry that we didn’t take the time to stop and visit him in Rosthern. Kathy, my condolences to you and your family at this sad time. I hope that in the coming days you find comfort in happy memories. I remember Peter as a soft-spoken gentleman, a man of integrity. In October 21, 1999, I interviewed him at his home for my research on the Doukhobors. Peter will be missed. May he rest in peace. Friend Koozma J. Tarasoff, Ottawa, Canada. Mr. Pereverzoff was a great friend. He was always kind and honest and supportive; he truly cared about my well being. He provided me opportunities to develop a strong work ethic and was influential in my pursuit of a career in Pharmacy.To this day, I refer to his philosophy of superior customer service, taking the time to be attentive and listen, offering everyone the respect and empathy they deserve. Mr. Pereverzoff made a difference. He was passionate, hard working and conquered many adversities. He will be missed. My thoughts go out to his family. Thinking of you Edna.